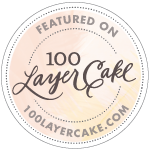 Rosycakes is a bakery, cake, and dessert studio in Vancouver, Washington that specializes in finely crafted cakes and desserts. Our goal is to leave you and your guests with lasting memories of your perfect occasion. Whether it is a delicately detailed wedding cake embellished with our handcrafted sugar florals or a lovely dessert table, Rosycakes is sure to delight you. We show careful attention to each menu creation, dessert presentation, color palette, and flavor combination. A Rosycakes cake is sure to be a showstopper, and the addition of a dessert bar at your event will take it to the next level. All of our work is done from scratch and in house by a team of dedicated bakers and decorators. Our comprehensive service ensures that your dessert display will be perfectly executed. Rosycakes offers a lovely selection of sweets each day. Cinnamon rolls, scones, sweet bread, cookies, cupcakes, cake by the slice and other goodies are available to purchase fresh from our case! We invite you to come and enjoy! Thank you for your interest in Rosycakes!